G&T Saddles are incredibly proud to offer continued sponsorship to Alex Holman. Terri sold Alex a saddle for his first horse some years ago, and have since witnessed and supported this talented young event rider on his way to becoming a responsible and hard working professional rider with a great deal of integrity. Jake is an incredibly talented young professional rider with high aspirations. Jake has been a rider and groom for Carl Hester for three years. 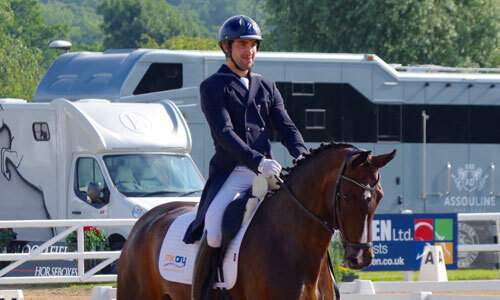 At Carl Hester’s, Jake gained invaluable experience from unquestionably one of the best establishments in the world, with one of his primary roles being to prepare and warm-up Charlotte Dujardin’s horses from youngsters to Grand Prix horses. From Carl’s yard, Jake also competed in Young Horse Classes. 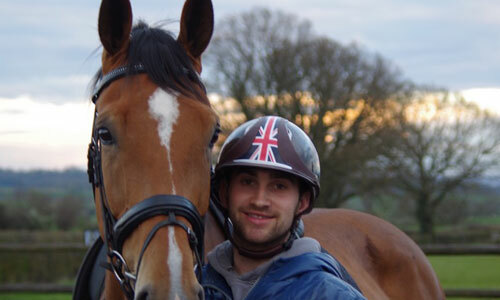 Prior to being based with Carl in Gloucestershire, Jake spent 2 years training and working with Matt Frost and Adam Kemp, then a further two years for the highly acclaimed Half Moon Stud. Having started riding at 2, and after many lovely years in the Ludlow Hunt Pony Club, Meg decided to solely concentrate on Dressage. By 15 she had won the British Dressage Talent Spotting Final at Junior level. Meg is an honorary member of the West Midlands Dressage Group, which she’s been a part of since she was 8. In her Junior and Young Rider years, she competed nationally and internationally up to Prix St George, representing Great Britain in Holland, Italy, Spain and at Home internationals on her old advanced mare, Equilibra Niky. Her current horse, Caesar Hansbjerg, is a 16.2hh, Danish Warmblood by Weltjunge who she has trained from Elementary to Inter 2. Meg currently trains with Carl Hester and has ridden on the British Dressage Young Professional Quadrille team on a number of occassions.